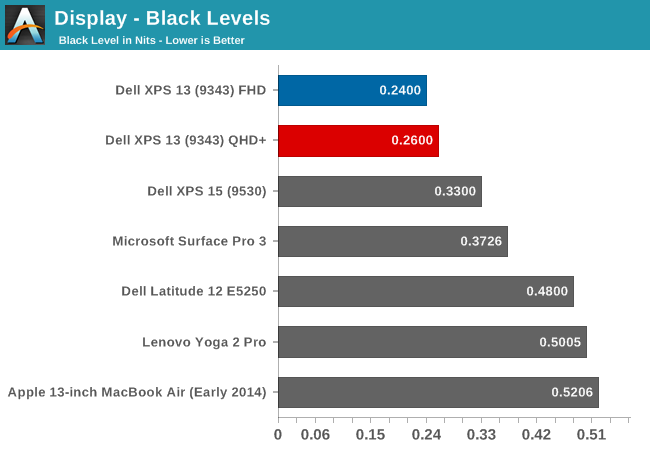 Dell offers two display choices in the XPS 13. The base model comes with an IPS 1920x1080 (Full HD, or FHD) Sharp 1420 panel, with LED backlighting of course. 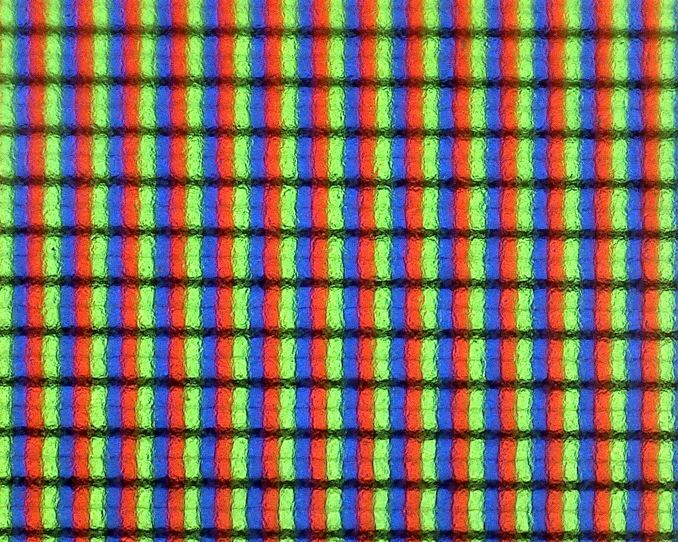 The upgrade is to the Sharp 1421 panel, which increases the resolution to 3200x1800 (QHD+), for 272 pixels per inch. Even 1080p on a 13.3 inch panel is a nice resolution, but the high DPI display really shines, especially in the new Windows 8 environment. 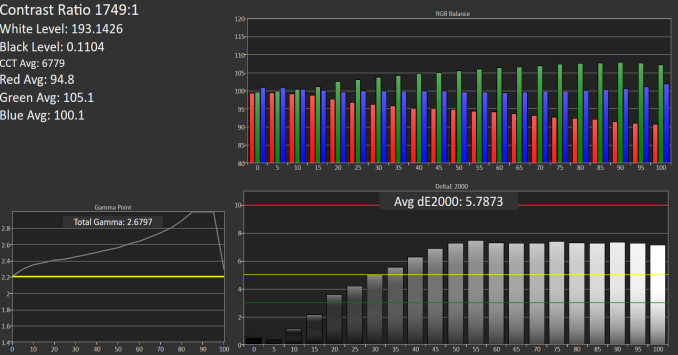 Desktop apps can still have some issues with High DPI, but it is becoming less of a problem over time. Sharp is the maker of all IGZO displays, which we have seen before in a couple of other devices such as the Razer Blade. The big benefit to IGZO (Indium Gallium Zinc Oxide) panels is they allow more light through the display, reducing the power requirements for the backlight. 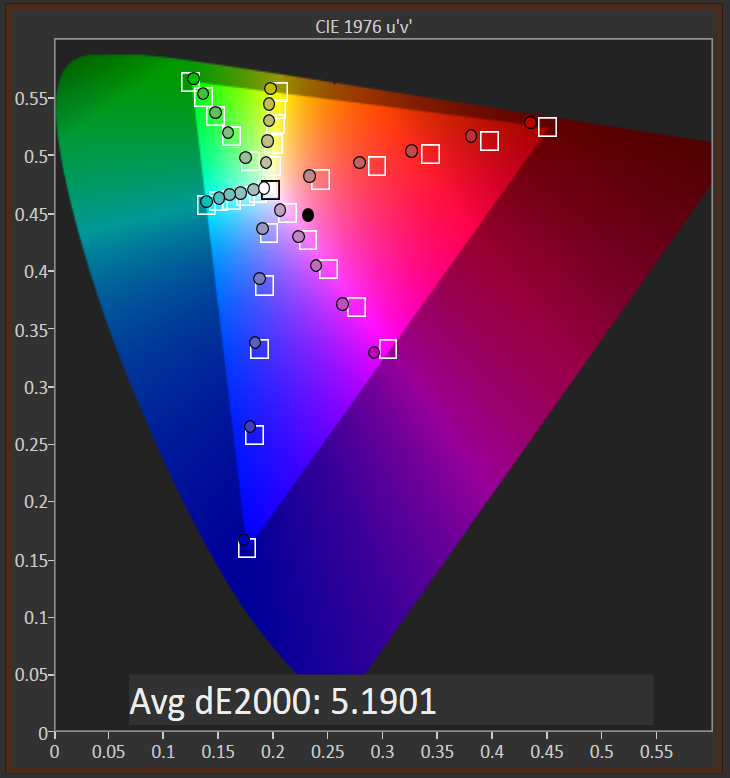 This generally means that we get to keep the full RGB stripe, which should help with color accuracy. 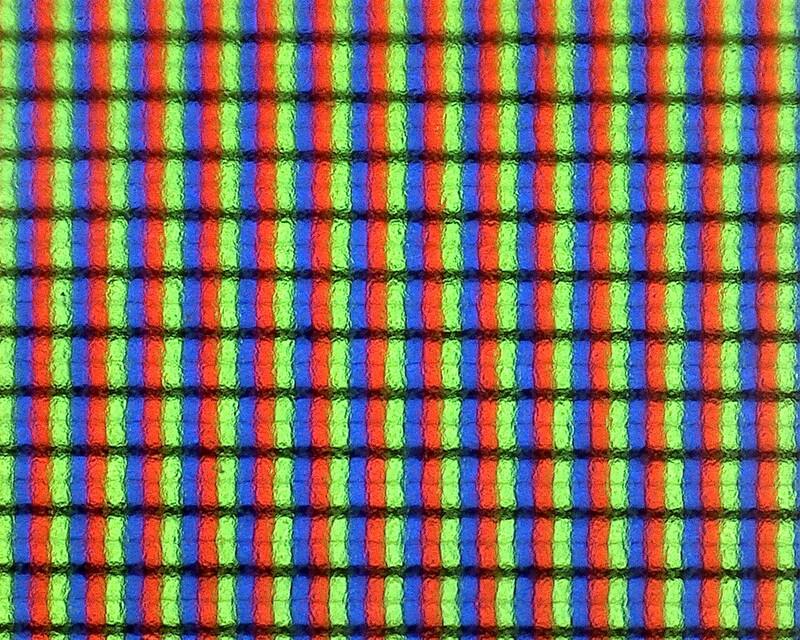 Being able to see both sets of pixels just shows how many more pixels are packed into the High DPI panel. 1080p is around 2 million pixels and 3200x1800 is 5.76 million pixels. It is a big difference and gives a big increase to clarity, but it comes with the cost of increased power usage, despite the IGZO TFT. 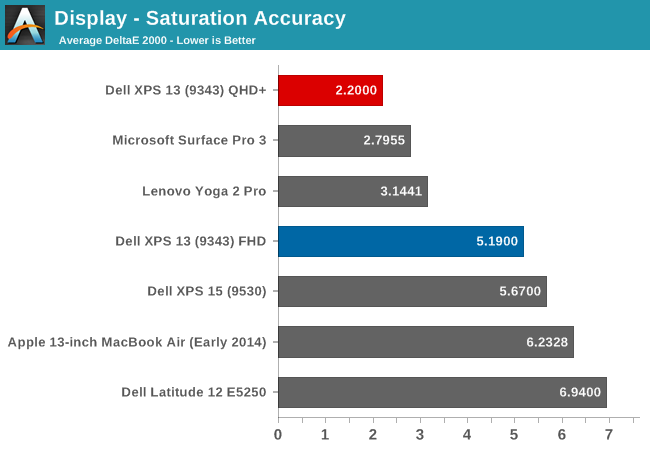 Dell has the displays listed as IPS (In-Plane Switching) panels on their spec sheet, and they do not seem to have any of the off-angle color shift of a VA (Vertical Alignment) design. Whatever the display type, it certainly is not TN (Twisted Nematic) so even at extreme angles there is not the loss of contrast associated with those displays. 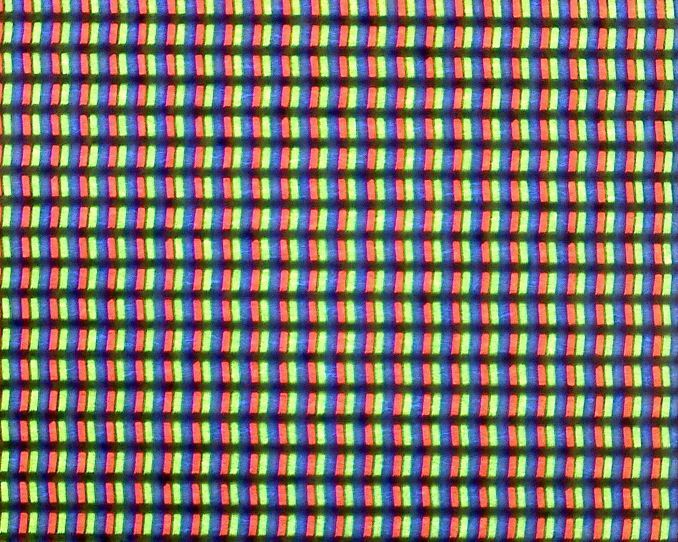 Also, you can see the anti-glare coating on the FHD pixels, which is the distortion shown on the subpixels. To test the panels, we turn to SpectralCal’s CalMAN 5 software suite, the X-Rite i1Display Pro Colorimeter for brightness and contrast measurements, and the X-Rite i1Pro Spectrophotometer to measure the color accuracy. One more note about the Dell displays though is that they have an auto-brightness adjustment with no way to disable it. It seems to manifest itself the most, and the most severe, when there are large contrast changes on-screen. For this reason, our automated testing for the color accuracy would not work at all because of the abrupt changes on the screen as it flashed among the various colors. This would cause the screen to go bright and dim and caused some very erroneous readings. 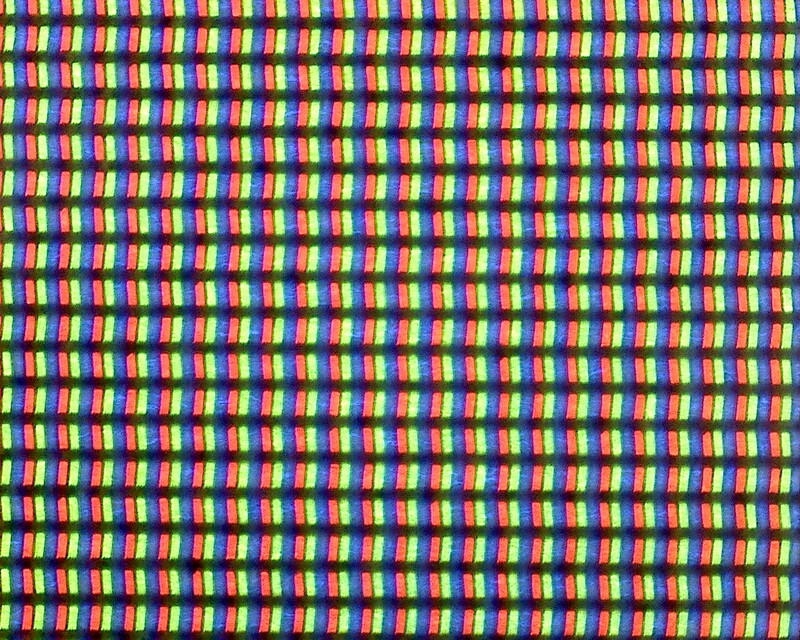 I was able to get around it for the color testing by manually going to on-screen color patterns, however display calibration is impossible with this brightness adjustment so that was skipped. 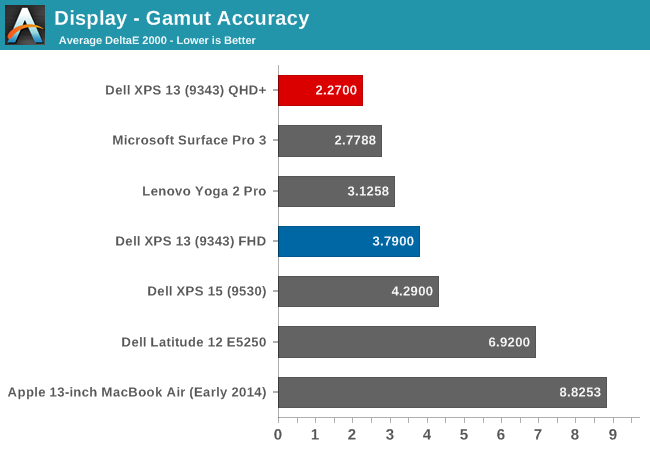 I have contacted Dell to inquire about this issue and will give an update if they get back to me. Update: Dell has enabled Content-Adaptive Backlight Control, which we have seen in other devices like the Nokia Lumia 930. Dell has let me know they are looking into a way to have the end user disable this feature. First up is the brightness, contrast, and black levels. Both displays get very bright. 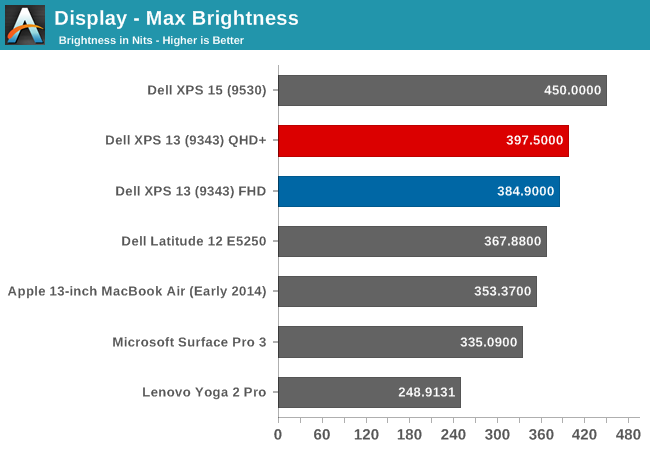 Dell claims 400 nits brightness on the XPS 13 and we measured almost that much. 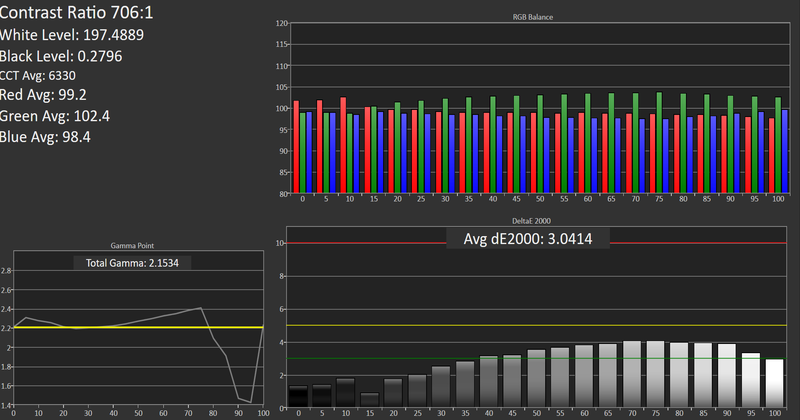 Also, the black levels were very good on both displays, giving a contrast ratio close to 1500:1 on both units. Minimum brightness is around 16-17 nits on both models as well, so there is quite a bit of range on the displays to let them work on almost any situation. 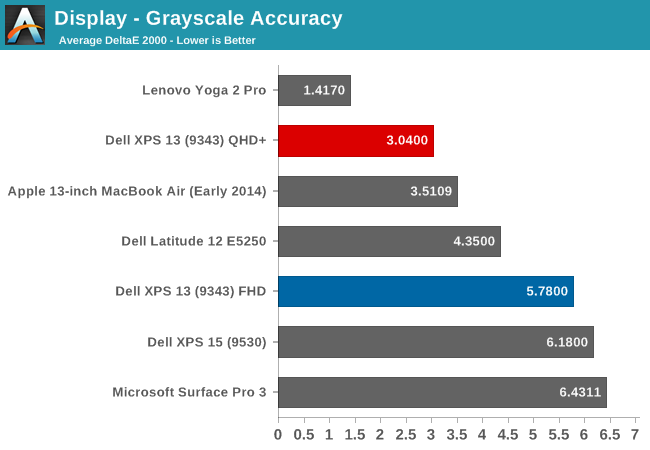 On the QHD+ version, grayscale is a decent result, coming in around delta E of 3. The gamma unfortunately really drops off at the upper end of the range. The color temperature is a bit warm, and as the chart shows, the greens are a bit high. 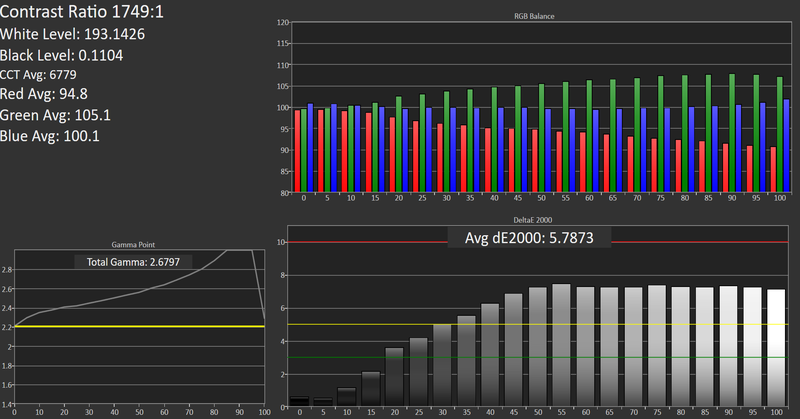 The FHD model does not fare so well, with the gamma going quite high, and the grayscale DE being almost 6. 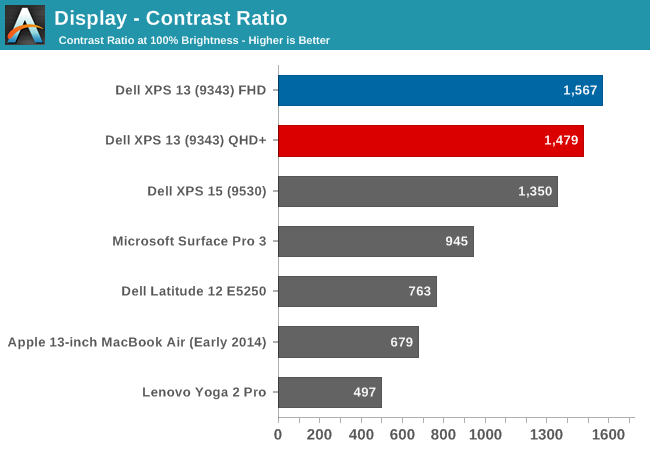 Dell does well on the saturations, with both displays being able to do the entire sRGB color space. Once again, the QHD+ model scores a lot better, with the saturation a very nice 2.2 dE, while the FHD version is closer to 5 - not an awful result, but much worse than the upgraded model. Wrapping up with the Gretag Macbeth results, again the QHD+ model does very well, with the FHD model just average. 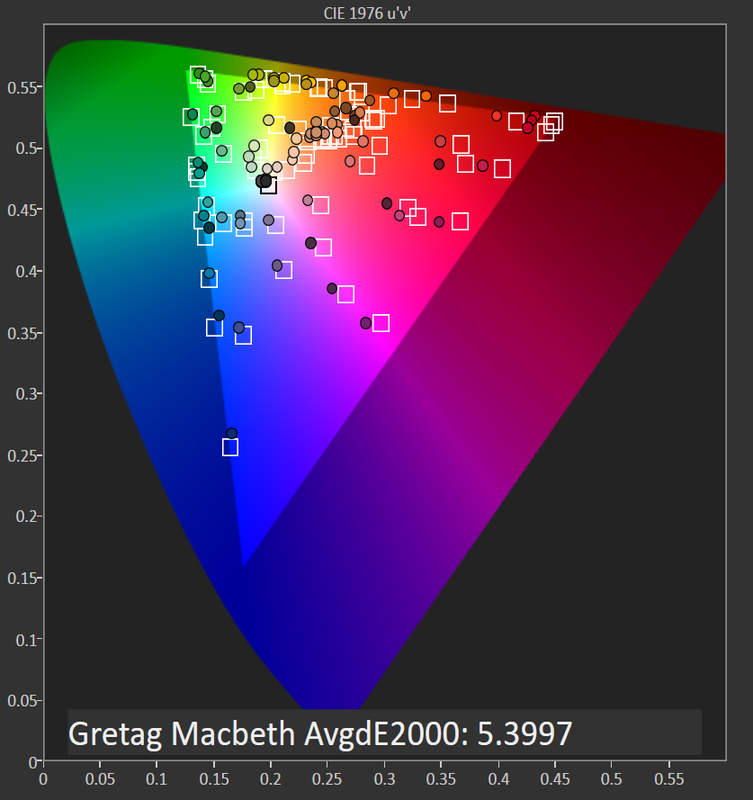 I have to note though, that even though the GMB score was very good on the QHD+ model, all of the colors that were off, with some of them around DE of 6, were the skin tones. Without calibration, anyone wanting to use this for photo editing may not much enjoy it, and with the auto-brightness issue, the calibration will not work so there is no way to see if the scores improve after calibration. 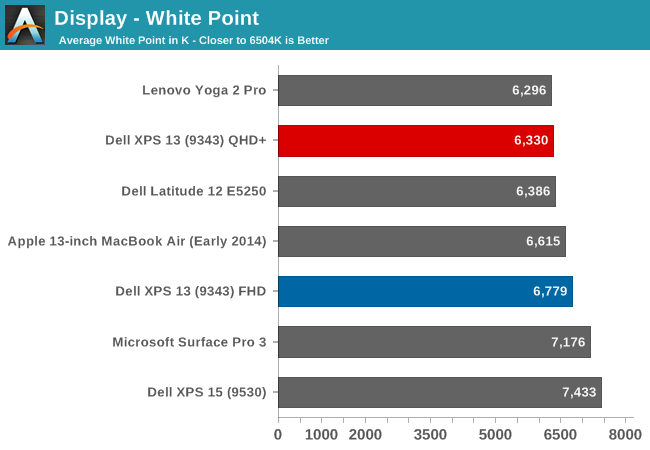 The Infinity Display is certainly one of the defining characteristics of the XPS 13, and especially with the QHD+ version the color accuracy and other characteristics are quite good. 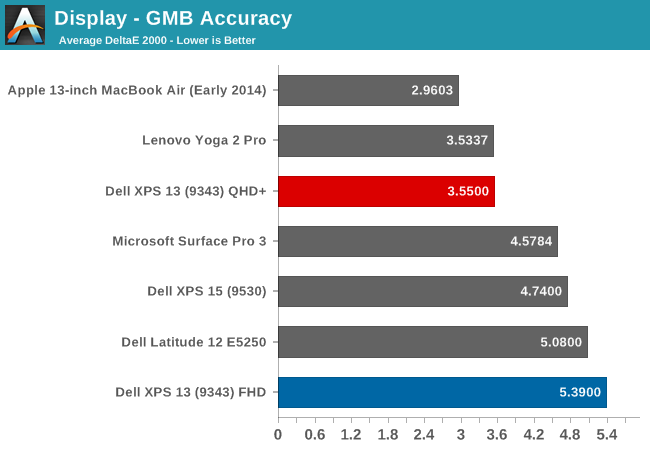 The Auto-Brightness is certainly an issue, and hopefully Dell will offer up a way to disable this either in software or the BIOS soon.